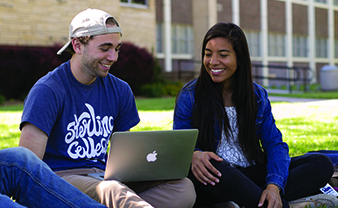 Sterling College students and faculty are dedicated to learning, serving and growing together. This creates a close-knit, family vibe. By the time you graduate, you will leave with more than just a degree. You'll have extraordinary experiences and relationships you will remember the rest of your life. Have a question or need to talk with us? Call admissions at 620-278-4275, or email us at admissions@sterling.edu. Join our community of around 700 students from across the U.S. on our beautiful campus in Kansas. The $25 application fee is waived if you apply by clicking below. A convenient way to start a career, brush up on skills or take courses for personal development. Contact us at 620-278-4275 or email admissions@sterling.edu. We are a Christ-centered, four-year college located in Sterling, Kansas, with a mission to "develop creative and thoughtful leaders who understand a maturing Christian faith." Whether you're looking to join us on campus or online, we have rigorous academic programs and a variety of activities to help you become the servant leader God created you to be. 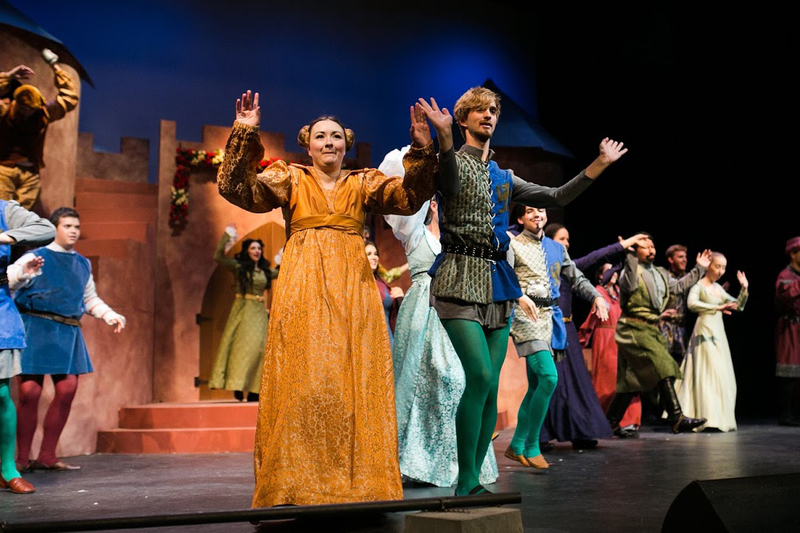 More than half of the students at Sterling College are involved in at least one area of the fine arts. Whatever your major, there are opportunities to be involved. Even if it is your first time on stage or you are just getting started with a paint brush, there will always be room for you at SC. We offer several sports for men and women at Sterling College. Every year, an average of 52 Sterling athletes receive conference and All-American honors. As a Sterling athlete, you'll become a fierce competitor who works and trains hard. But more importantly, our coaching staff is committed to strengthening your character. For non-athletes or when you're not in season, we also have a variety of intramural opportunities. "I came to Sterling because I wanted to play volleyball in a more competitive league. Sterling College gives me the chance to play volleyball and also focus on my classes and be involved in other extracurricular activities." "The academics at Sterling College have proven to be more than I ever expected. I’ve had the opportunity to take classes from a variety of professors. I’ve grown to build personal relationships with them and they have really pushed me and challenged me." "Coming to Sterling, I was surprised by the amount of mission trips that are offered. If traveling is something you enjoy, I would encourage you to come to Sterling because there are so many opportunities to grow in your faith and see the world." The Sterling College Office of Financial Aid assists students in the financial aid process to help secure funding for their educational needs. Financial aid funding consists of scholarships, grants, loans and employment. Keep in mind that the figures listed on these pages are for traditional on-campus students only. The financial aid staff evaluates a student's financial need, determines eligibility, issues official award letters and processes loan applications.